Walt Disney Animation Studios Short Films Collection :: Movie Information :: RabbitTV GO! 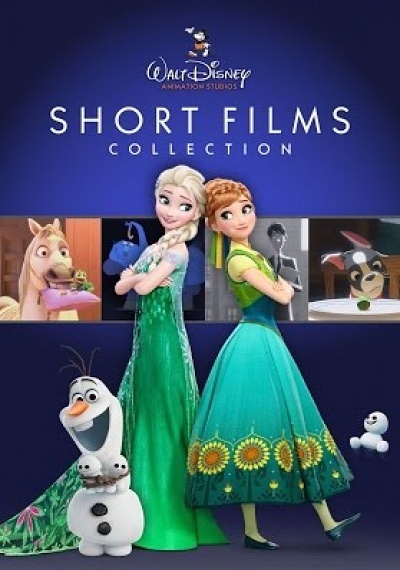 From Walt Disney Animation Studios comes an extraordinary collection of award-winning and beloved short films, featuring Disney's Frozen Fever, starring Anna, Elsa, Olaf, Sven and Kristoff, and the Oscar®-nominated Lorenzo (Best Animated Short, 2004). The Short Films Collection includes contemporary shorts starring classic characters, such as the groundbreaking 2013 Mickey Mouse cartoon Get A Horse! and the holiday treat Prep & Landing—Operation: Secret Santa, as well as celebrated Oscar winners Paperman (2012) and Feast (2014). Enjoy them together in this one-of-a-kind collection, featuring introductions to the shorts by the acclaimed filmmakers themselves. Pre-order this movie and it will be available for playback and added to "My Movies" as soon as it's available for release. You will receive an email once the release date is known.